Viewed the 37 pots in your superb gallery I had not seen yet! 37 x 5*****! Inspiring! Such an amazing gallery ❤!12 x ⭐️⭐️⭐️⭐️⭐️ and I'll be back to look more! Glad I stumbled upon your gallery ⭐️⭐️⭐️⭐️⭐️x 5 pots! 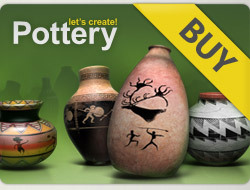 5* for all your Beautiful pots!! !